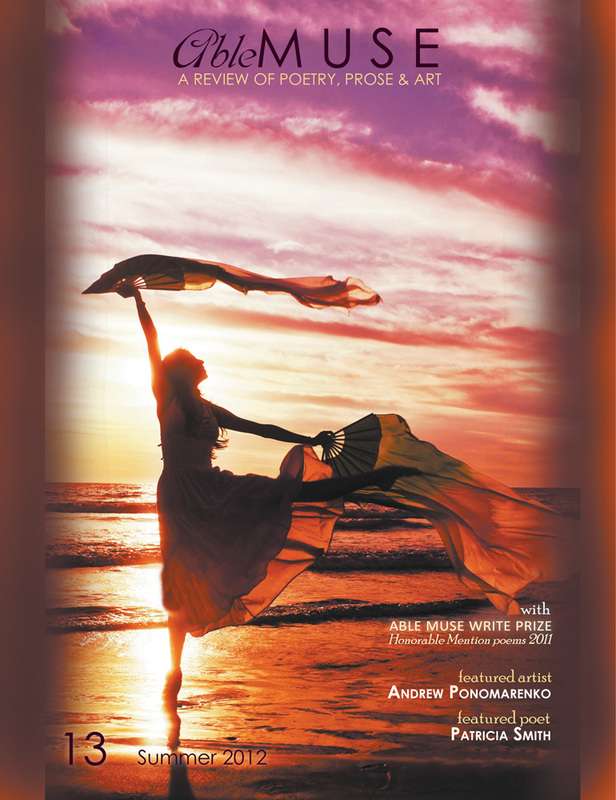 This is the seminannual Able Muse Review (Print Edition) - Summer, 2012 issue. This issue continues the tradition of masterfully crafted poetry, fiction, essays, art & photography, and book reviews that have become synonymous with the Able Muse— online and in print. 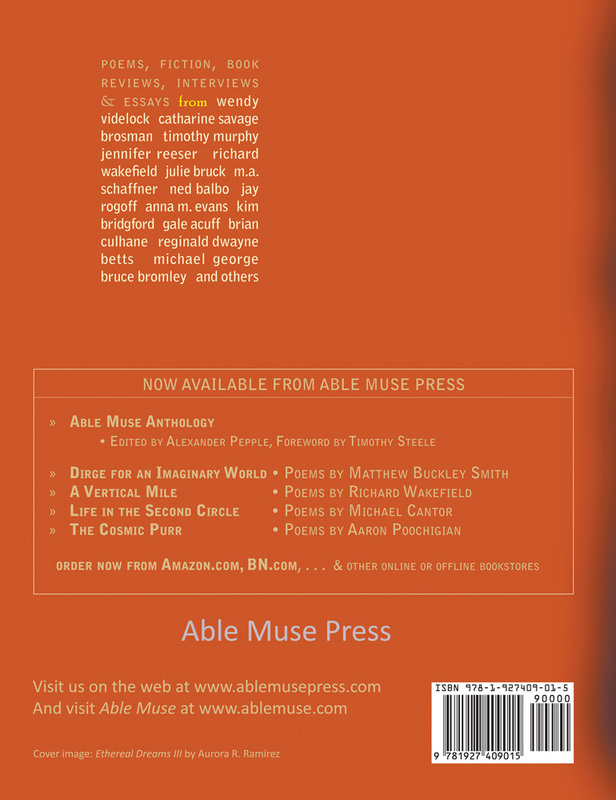 After more than a decade of online publishing excellence, Able Muse Number 13, print edition is here, highlighting works of the same superlative standard as presented all these years in the online edition, and, the recently released Able Muse Anthology (Able Muse Press, 2010). Includes the 2011 Able Muse / Eratosphere 30-Day Workshop poetry & fiction winners. FEATURED ARTIST — Andrew Ponomarenko. (Interviewed by Reginald Dwayne Betts). FICTION — Janice D. Soderling, Rob Wright, Michael George. ESSAYS — Peter Byrne, Bruce Bromley, N.S. Thompson. BOOK REVIEWS — Stephen Collington. POETRY — M.A. Schaffner, Brian Culhane, Timothy Murphy, Richard Wakefield, Wendy Videlock, Catharine Savage Brosman, Kim Bridgford, Jennifer Reeser, Julie Bruck, Ned Balbo, Anna M. Evans, Ed Shacklee, Gale Acuff, Matthew Buckley Smith, Adam Penna, Jay Rogoff, Sarah Giragosian, Michael Bradburn-Ruster, Tim Suermondt, Carol Lynn Stevenson Grellas, Rob Wright, Carolyn Moore, John Beaton, Kevin Corbett, T.S. Kerrigan.